APARTMENT CAN SLEEP SIX, WITH COMFORTABLE DOUBLE SOFA BED IN LOUNGE AND SEATING FOR SIX. 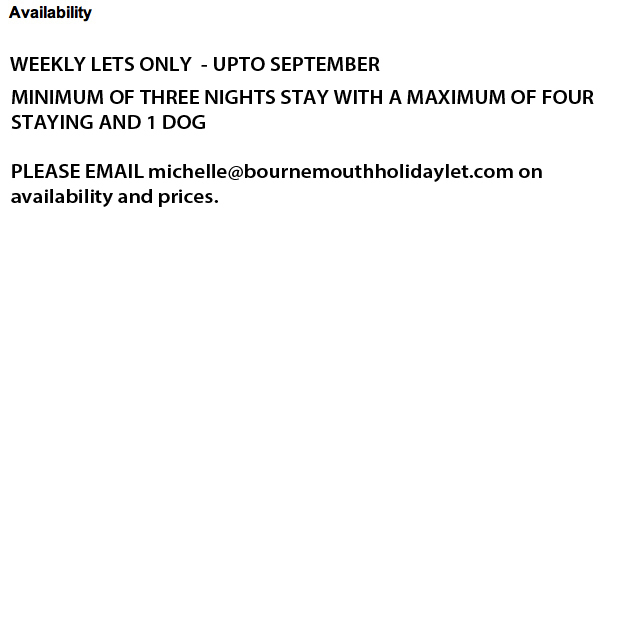 PLEASE ENQUIRE FOR PRICES IF SIX PEOPLE ARE STAYING.
. That's it! Weekly lets are usually taken from a Saturday, sometimes a Friday. During low season another start day might be available. 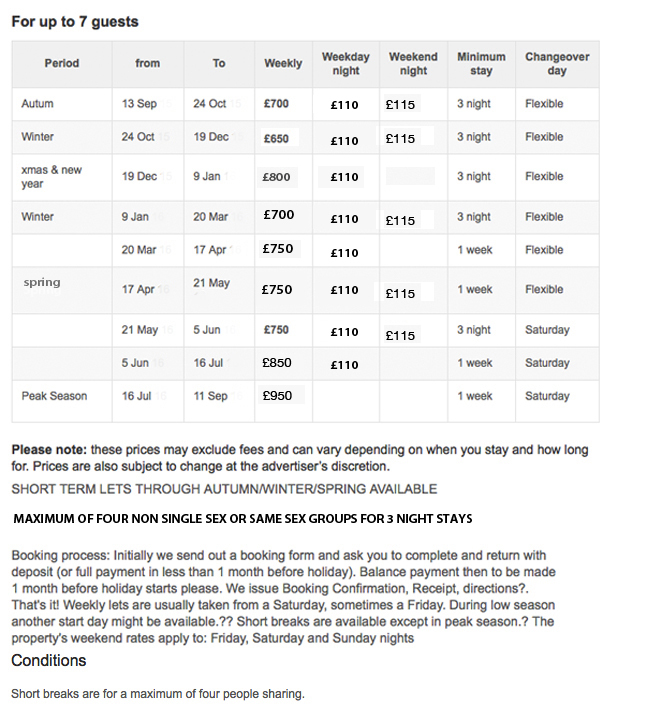 Short breaks are available except in peak season. NB: Prices may be subject to change at the advertiser's discretion. Start day for weekly bookings: Friday/Saturday in peak season. Away from peak season a Friday start may be possible, or perhaps another day. 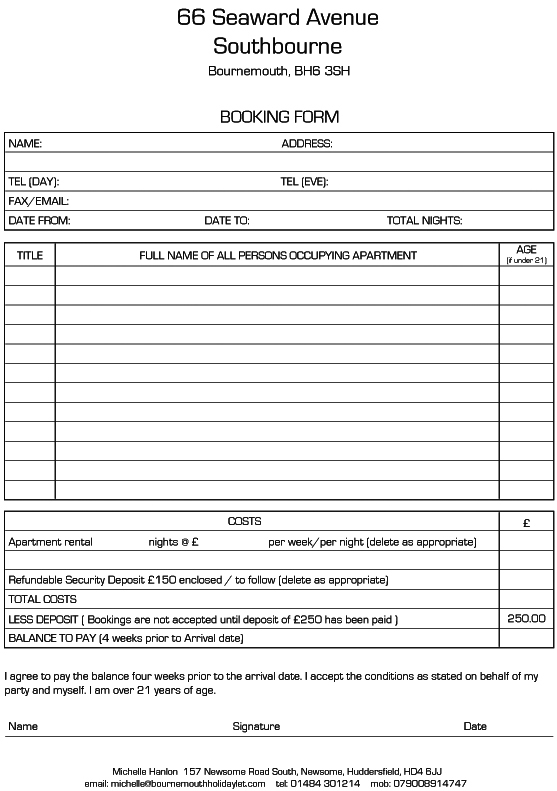 Where weeks are already booked this will of course dictate start days for adjoining weeks. Short breaks (other than peak season when not available) : Normally Friday to Monday or Monday to Friday, but other choices may be available.. All our rates are fully inclusive of gas and electricty, bed linen provided and beds made up for your arrival. No hidden extras! If you would like to pay via paypal please contact me by email and i will send out appropriate invoices.